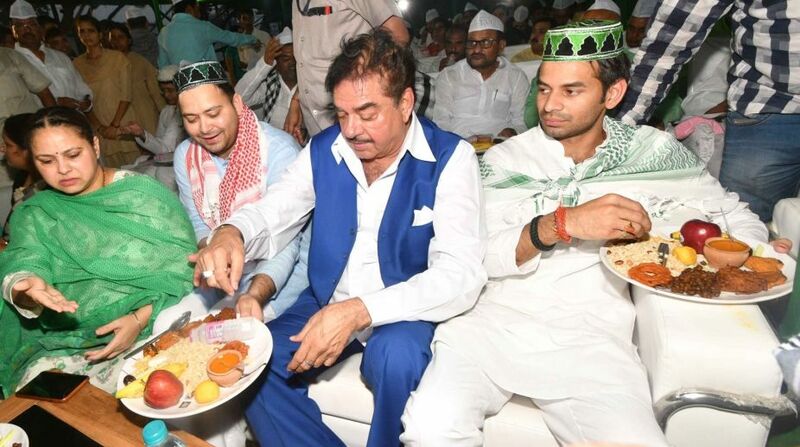 A day after actor-turned-politician and BJP MP Shatrughan Sinha attended the Iftar party hosted by the opposition RJD here and skipped the party of ally JD-U, Bihar BJP President Nityanand Rai on Thursday threatened Sinha by saying that action will be taken against him. “His (Shatrughan Sinha) time has come near. Wait for the exact time when action will be taken,” Rai said. He refused to say anything more. According to BJP sources, party leaders are in a fix over Sinha, who has been repeatedly embarrassing the party. “Unless BJP central leadership reacts and takes a stand against Shatrughan Sinha, party leaders in the state are reluctant to say anything,” a senior BJP leader said. After RJD chief Lalu Prasad, Shatrughan Sinha has been praising and lauding his younger son Tejashwi Yadav, leader of opposition in the Bihar assembly and projecting him as the next Bihar Chief Minister. Tejashwi has invited Shatrughan Sinha to join the RJD and Lalu’s daughter Misa Bharti, who is an RJD Rajya Sabha MP, on Wednesday offered him a party ticket to contest the 2019 Lok Sabha polls from his traditional Patna Sahib constituency.